Sitting in the Sacred I AM Presence connecting with my Higher Self, Sekhmet-Durga, with Heru and my Spirit Guide Team I have the following message to share with you all from The High Council of Orion. We are The High Council of Orion and we come forth to share our message of Love of Joy and of Understanding. 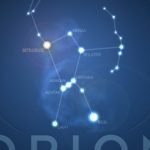 We are the High Council of Orion and we work in partnership with Sirius and work very closely with the Alignments upon your Earth and have done so for Eons. This day upon your Earth we have opened the Star Gates of Orion bringing forth much love and peace and healing to the Masculine Energy for it is truly a time of healing of balance of harmony for these are the tools and Mastery of Ascension. There are indeed many shifts taking place upon your Earth at this time and many of you will be feeling great alignment with your Energy and your Physical Bodies. For each and everyone of you are penetrating Light out to the World that you live in. The Light comes from within you…. The Truth lies within you…. Look within for the answers. All the answers are there and the beautiful thing is they’re guided by your Soul on your journey. There’s no better place to get information, answers and solutions than within yourself. Use your inner discernment to decide if you feel in alignment with that or not. For the truth is that there is no “ultimate truth” in this that applies to everyone. Everyone’s Soul is on their unique path and so a perfect solution for one person, guided by their Soul, is not necessarily the same perfect solution or point of view for you. We are going to ask you something wildly crazy now, not from a dispassionate point of view, not from an uncaring point of view. What we ask you to do is be in your heart and not worry about everyone else! The answer to your thoughts and questions is… yes they can… for each and every Soul are on their paths of Ascension. No Soul is left behind… All are on paths of awakening… The Soul will decide when it is ready to embrace the Ascension. For each Soul carries the spark of the Divine… the God/Goddess Spark ignites within each and every one. Your focus must be upon yourself…..
You must allow yourselves not to enter a phase of great judgement upon yourselves or them…. but to allow your Soul and theirs…to be at that beautiful core level to allow you and them to move through human experience exactly the way it has designed to be. It is a time to set focus… upon yourselves and process yourselves through the process of Immortality, Resurrection and Ascension for these are the three attributes that are truly taking place at this time upon every awakening Soul. Let us explain to you what this means… when a Soul enters these stages they become aware of who they are… the knowing of thyself…. (immortality) Activating your Lightbody and DNA – your MerKaBa…. (Resurrection) and Ascension finally connecting you through to the 5th Dimension and above – having full awareness of the Higher Dimensions of Light and bringing in the Energy from the Higher Dimensions of Light and Love. As we’ve said previously to mankind, what we ask you to do is instead of worrying about those around you who you have decided are not in the “right place or space” for this process of ascension, please hold the space of the beauty and intelligence of their Soul to be guiding and directing them from a place of their inner truth. The best place you can hold for anyone in your life is non-judgment and heart-centered peace and trust. Trusting their soul to be guiding their lives as you are learning to trust your Soul to guide your life. In the meantime not holding that judgmental place, as if you have the crystal ball into their Soul, knowing that they’re making the wrong decisions. Because what we put forth is that all of their decisions are right and perfect for them in their uniqueness, as the beautiful being of light whose chosen to have the human experience they’re having. What we would like to offer up to you is by you moving into that heart-centered space of trusting their Soul to guide their life, trusting your Soul to guide your life, there’s less constriction, there’s more openness, and it allows greater potential and possibility for all involved. For when there is judgment there is construction, and construction limits the expansion of energies. So if you can find that place in your heart to trust your Soul, and find a space in your heart also to lovingly look at those around you, and trusting their Soul, you create an openness of energy that allows for more for everyone in that situation. The energies of expansion and openness come from this place of Soul-centered and Heart-Centered allowing. We ask you today to bless those around you. Stay heart-centered, as much as you can. If you find yourself not experiencing life from your heart, take that moment to breathe and drop your energies down into your heart. It is truly a time to connect within dear ones connect with your hearts for it is from within you will find inner healing, inner peace…. It is truly a time dear ones to connect with your hearts for it is from there you will find balance and harmony. It is truly a time dear ones to connect with your hearts for it is a time now to connect with the Truths…. We are the High Council of The Orion and we have spoken through Elaine this day.